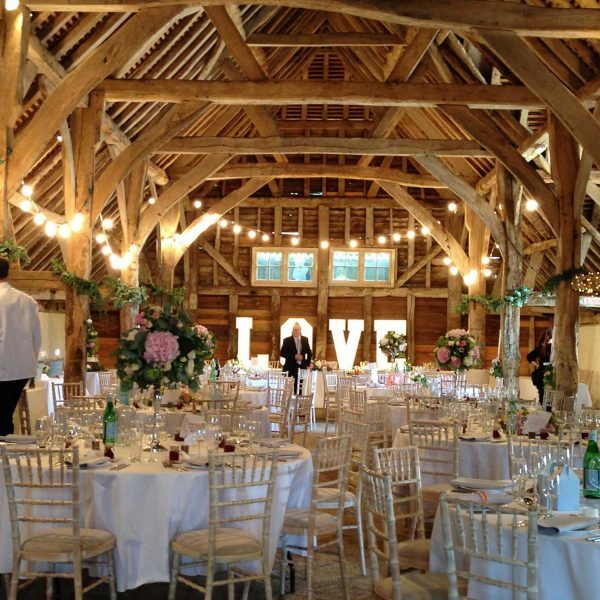 This beautiful 500 year old barn venue needs no adornment to be awe inspiring and is ideal for a relaxed country wedding. 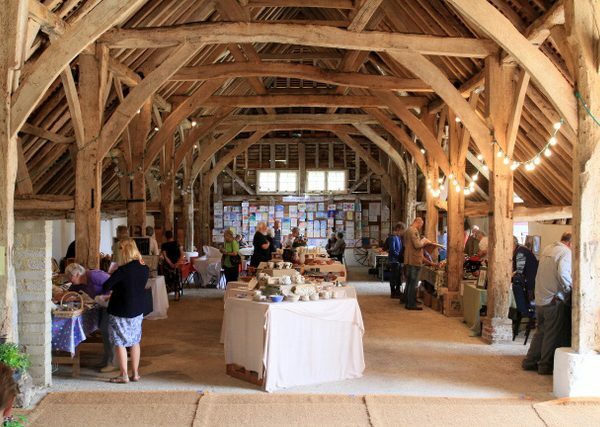 Sullington tithe barn was recorded as the ‘finest’ barn in Sussex, by acclaimed architectural historian Nicklaus Pevsner – it is also one of the longest barns in Sussex. 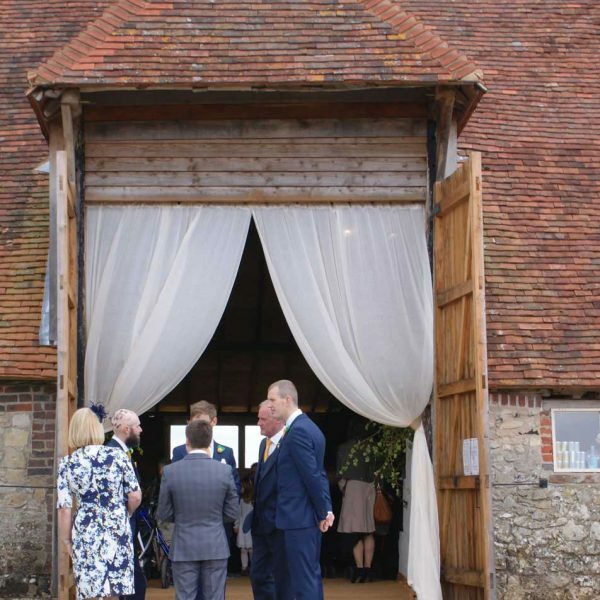 Lovingly restored, this Grade II listed barn venue retains its warm atmosphere and authenticity and we are happy for you to decorate the barn in your own personal style. 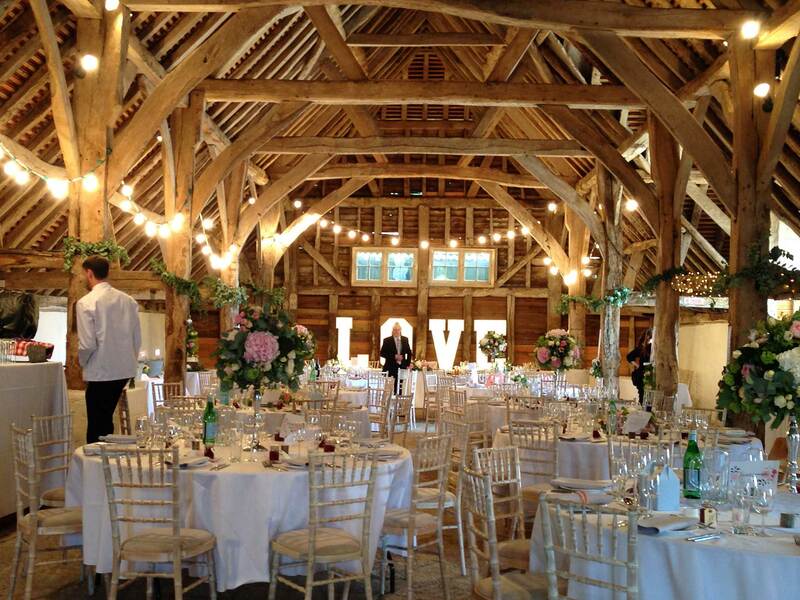 The wedding barn is unconverted but the feel is delightfully friendly and it exudes charm and happiness. 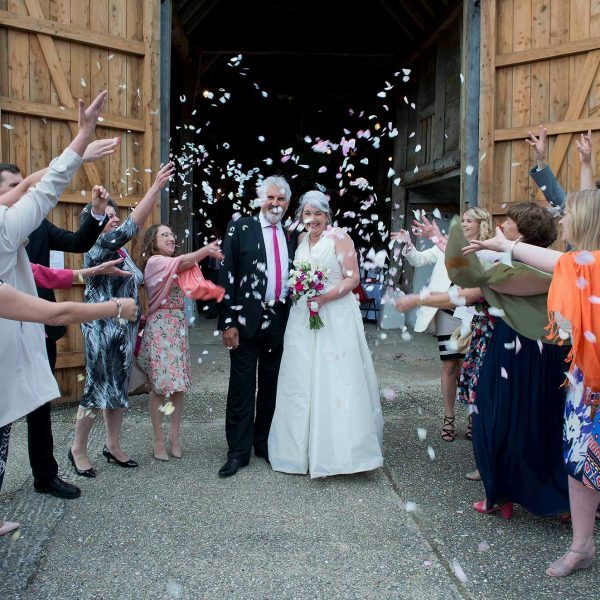 The wedding venue and holiday cottages are exclusively yours to allow plenty of time for easy set up and clear away in your own out-of-the-way country paradise. 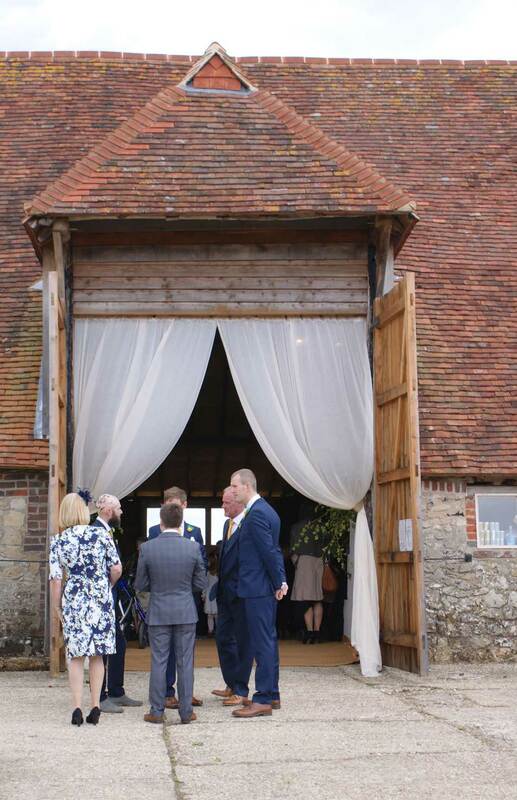 Outside you have exclusive use of the sheltered rose garden and lawn, surrounded by twinkling lights in the evening. 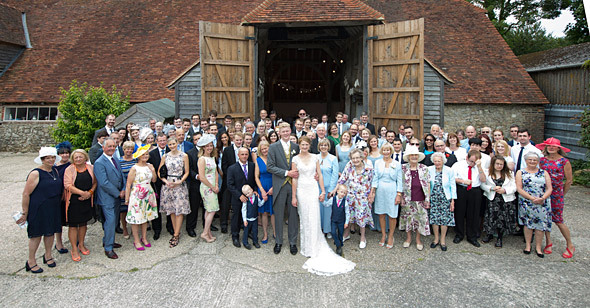 There is no doubt that it is an experience of a lifetime to emerge from the lovely Saxon church of St Mary’s, Sullington into the heart of the South Downs, to take the short walk with all your friends and family under the Downs to your bespoke reception in the magnificent, ancient Sullington tithe barn. 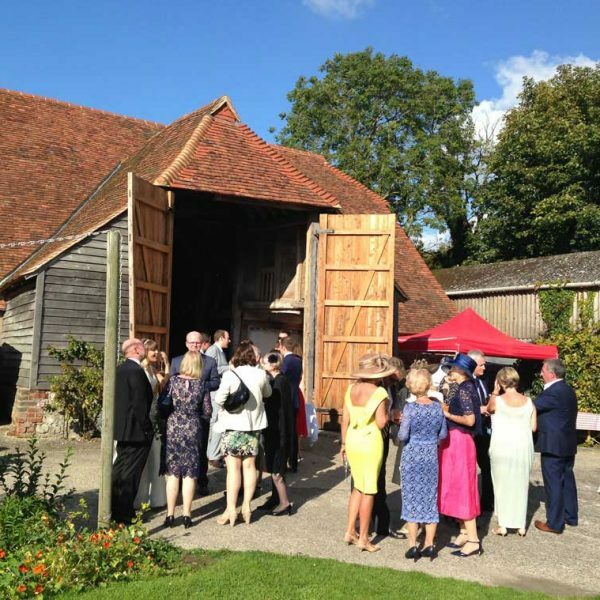 For those who aren’t into a church service, the barn is perfect for sub-dividing using our hand-made oak partitions to create an area for your own freestyle or humanist service, or to make distinctive areas for daytime and evening celebrations. 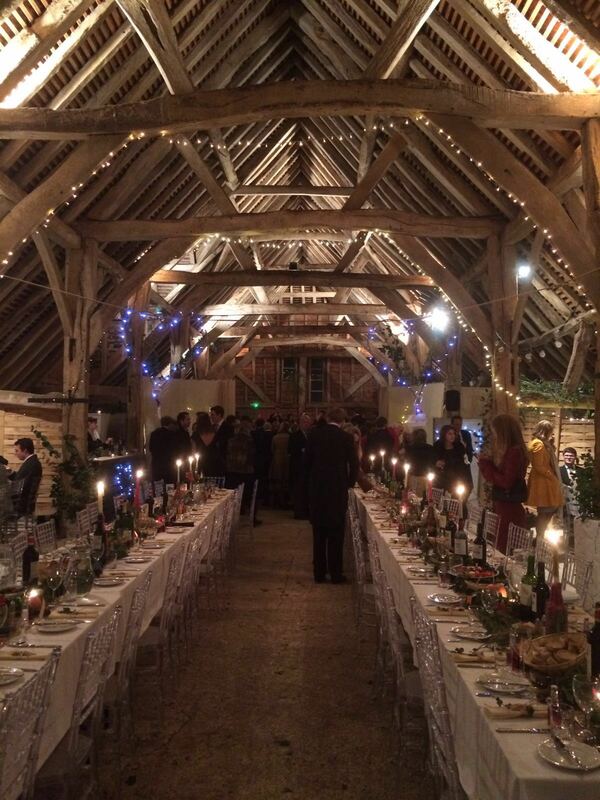 Sullington tithe barn is suitable for parties of 90 – 150 guests. 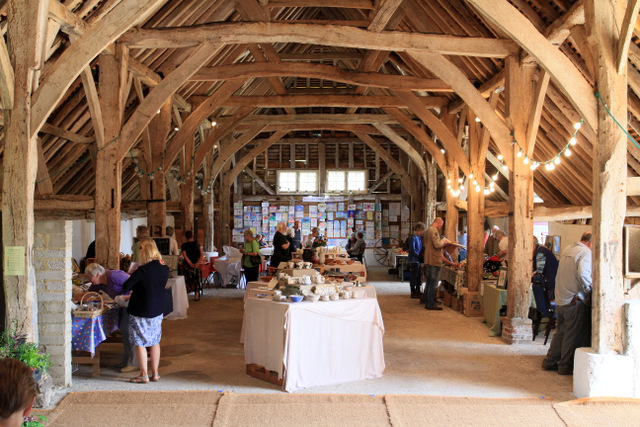 Chairs, tables and other equipment is available free of charge. 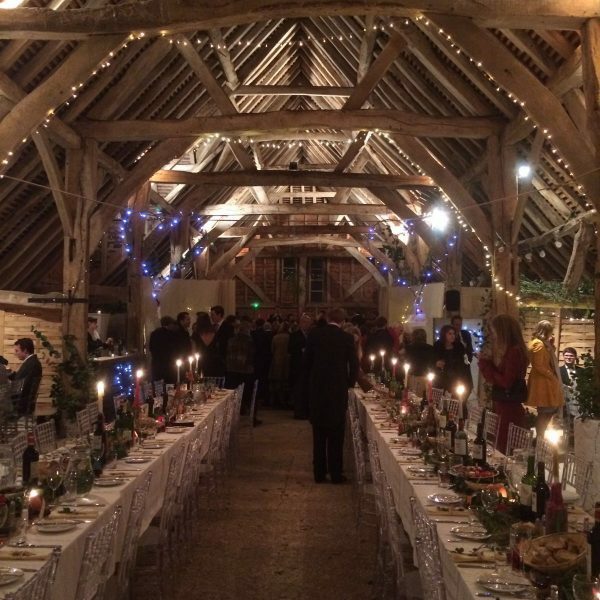 Barn available for five days (eg Thurs morning until Monday afternoon) with accommodation for up to 20 people for two nights (eg Saturday and Sunday). 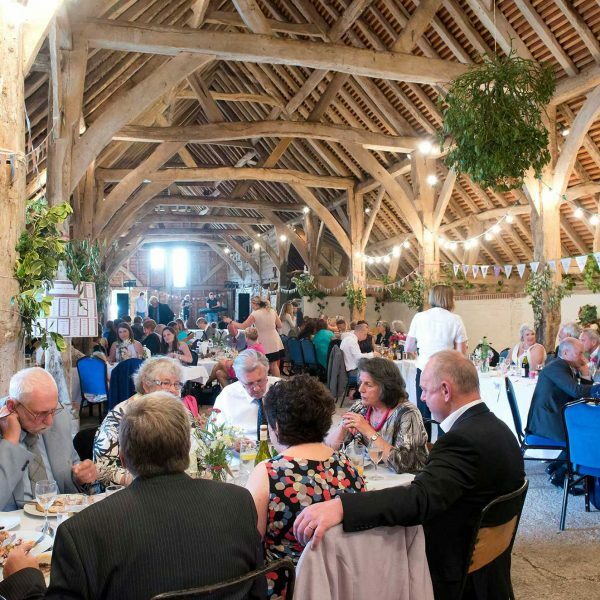 Using the cottages on Saturday and Sunday means that your family and friends in the cottages can continue informal celebrations on the Sunday. Use of all facilities including barbeques, swimming pool, tennis court etc included. 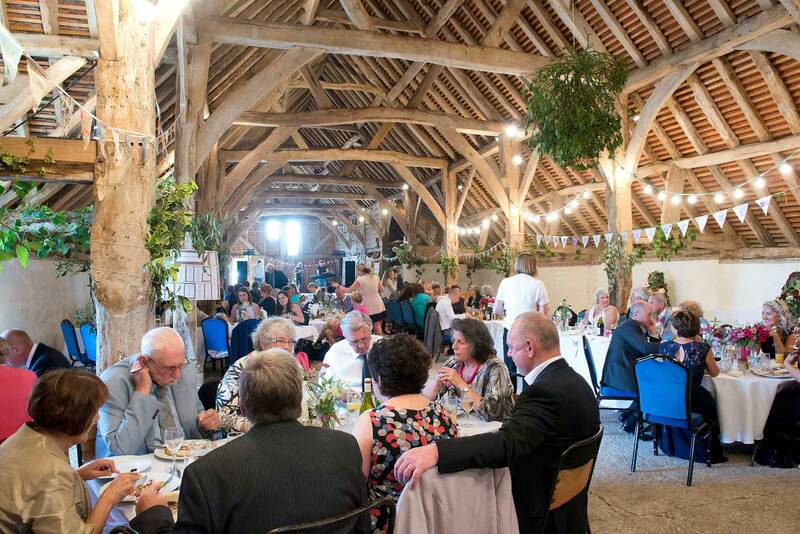 Only six event venue bookings accepted per year. 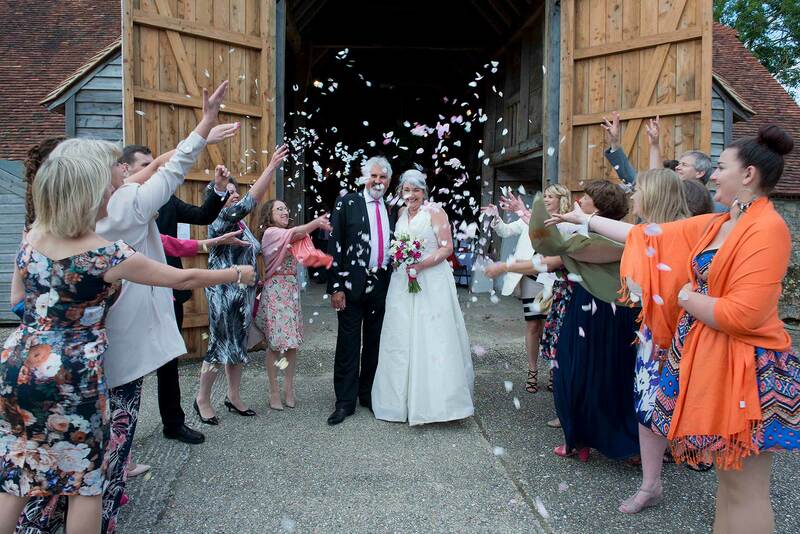 Early booking advised as availability is influenced by holiday cottage bookings. 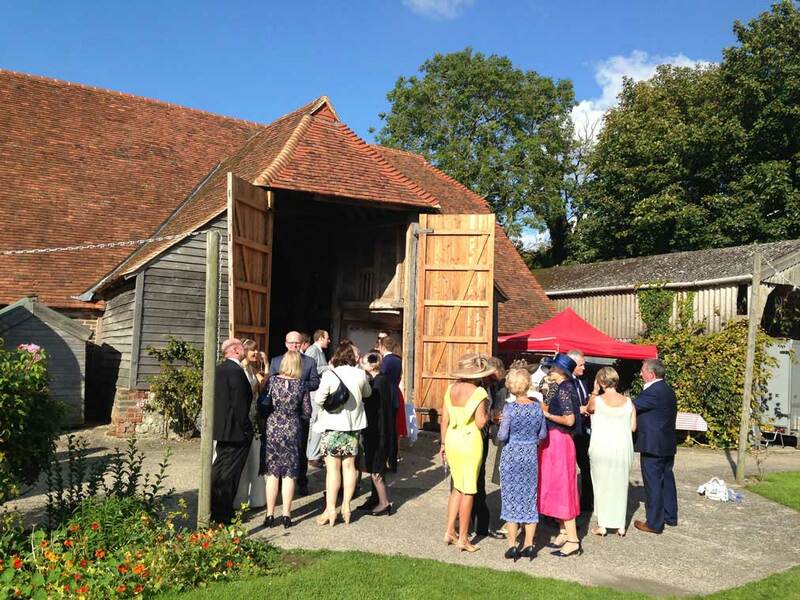 Get in touch to check availability and plan a visit – seeing is the best way to experience Sullington tithe barn wedding venue.